Cynthia Watros is an American film and television actress. She is best known for television roles as Annie Dutton on Guiding Light, Libby Smith on the ABC TV series Lost, Kellie on The Drew Carey Show, Erin on Titus and Mary Matrix on Video Game High School. Her notable film appearances include: Calvin Marshall, Electrick Children, P.S. Your Cat Is Dead, The Yellow Bird, and the 2000 Christian action/drama film Mercy Streets. 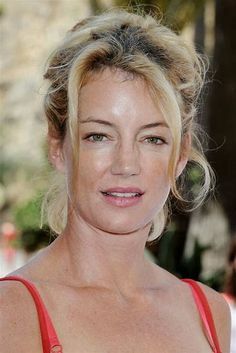 Born Cynthia Michele Watros on September 2, 1968 in Lake Orion, Michigan, USA, to Nancy and Bruce Wayne Watros, her mother is a legal secretary, and her father is an electrical engineer. Her parents divorced when she was seven years old. She has an older brother named Steven, who is also an electrical engineer. Cynthia attended Macomb Community College in Clinton Township, Michigan, and graduated from Boston University with a Bachelor of Fine Arts degree in Theatre. She first achieved fame by portraying the role of Annie Dutton on the CBS soap opera Guiding Light from 1994-98, for which she won the Daytime Emmy Award for Outstanding Lead Actress in a Drama Series in 1998. She has been married to Curtis Gilliland since 1996. They have twin daughters, Emma Rose Marie and Sadie Anna Marie Gilliland, born on July 14, 2001. *She was born on September 2, 1968 in Lake Orion, Michigan, USA. *She was seven years old when her parents divorced. *She participated in a USO tour to Iraq in 2008. *Her husband is a Los Angeles restaurateur. *She enjoys skiing and dancing.